*Post presented by Rack Room Shoes. Mom Fabulous received samples to facilitate this post. School clothes purchased? Check. School supplies purchased? Check. 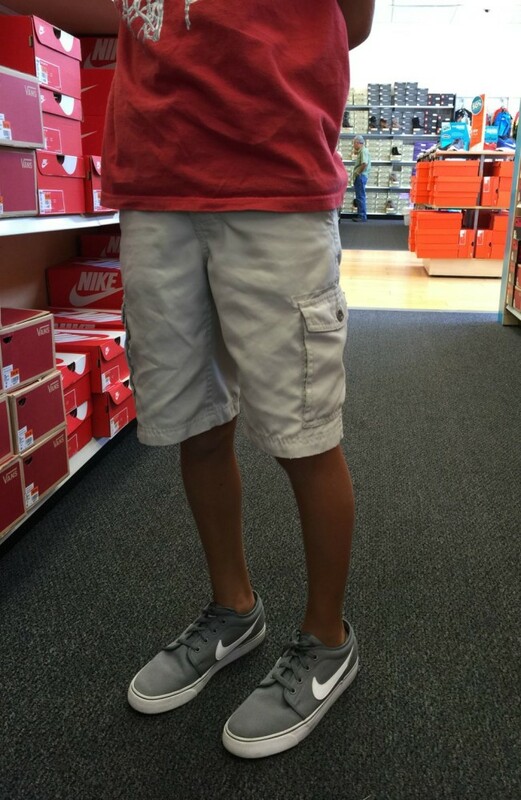 School shoes purchased? And check! We are gearing up for school around here and one of my favorite topics is back to school fashion. I love to check out the latest trends for the new school year, as well as see what styles my kids choose. 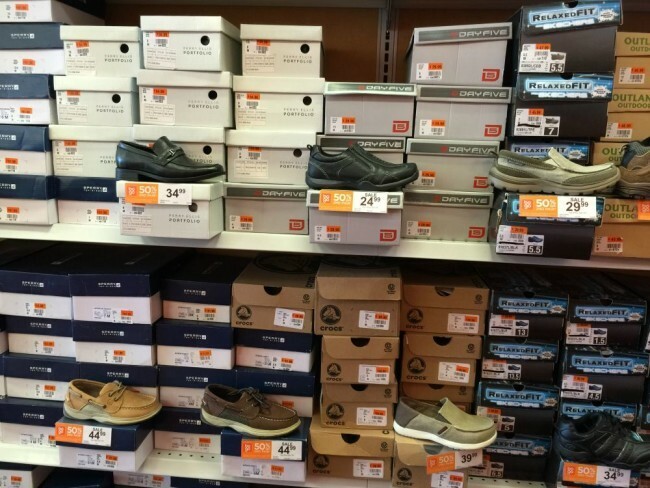 Today it’s all about the shoes from our recent visit to Rack Room Shoes. From Vans and Converse, to Nike and Skechers…my kids tried on a ton of shoes. 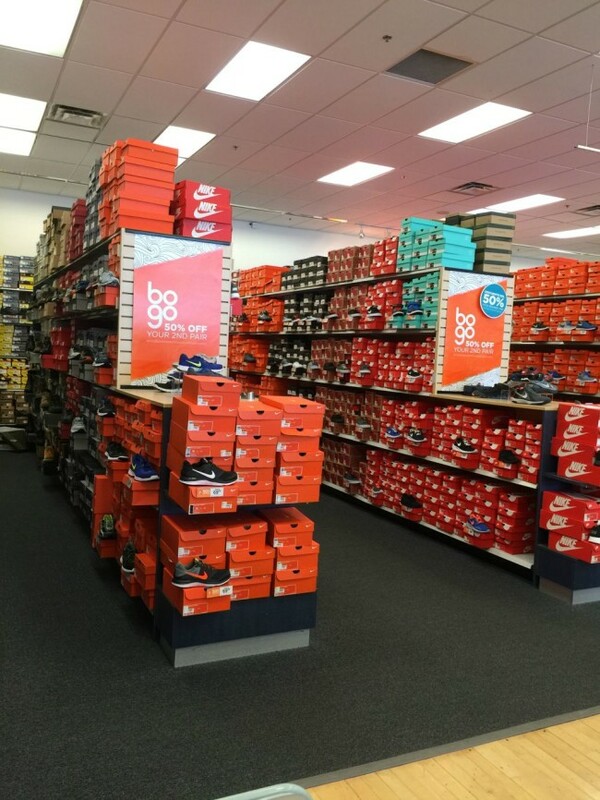 Since Rack Room Shoes always offers their Buy One Get One 50% Off deal, the kids get to choose two pair of shoes. They never complain about that! 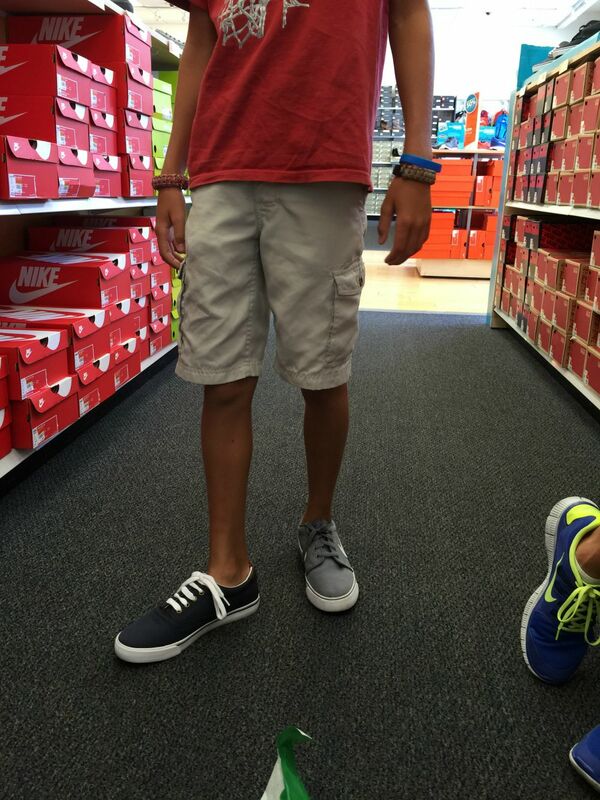 This year, my daughter chose a pair of Vans and Birkenstocks for Back to School. Back to school time in Texas still feels like summer, so she wanted a new pair of sandals as well. 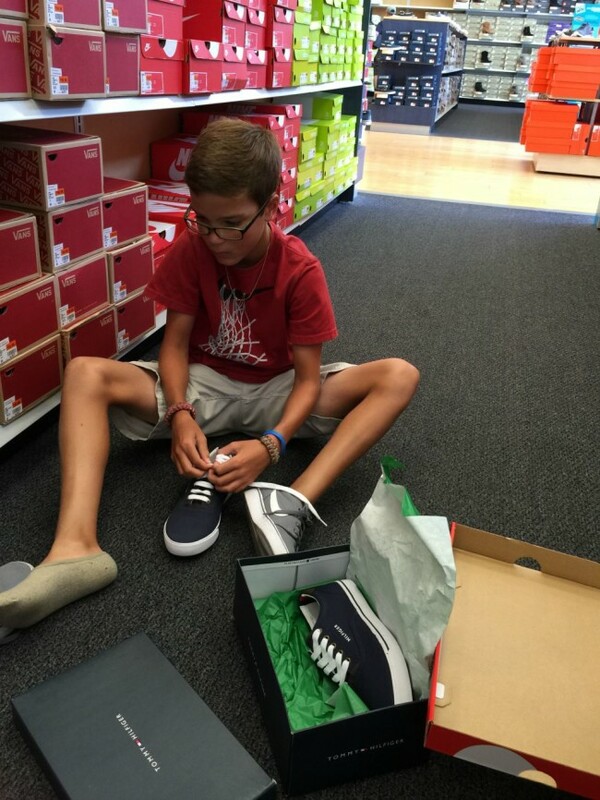 Rack Room Shoes makes shoe buying convenient with their online shopping, which is nice when your kids know exactly what they want and what size they need. My oldest son chose a pair of Nike running shoes and Birkenstocks and my youngest went with a pair of Vans and a pair of Nikes for skating. 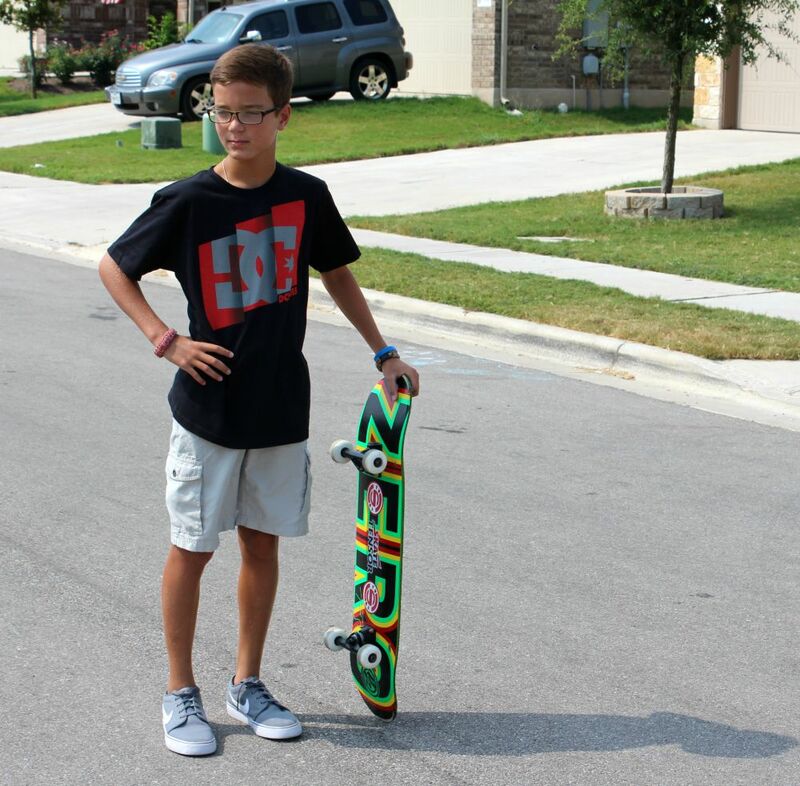 Speaking of skating….here he is sporting his pair of Nikes with his new skateboard, plus him in action. What about the selection at Rack Room? They always offer the season’s latest trends. 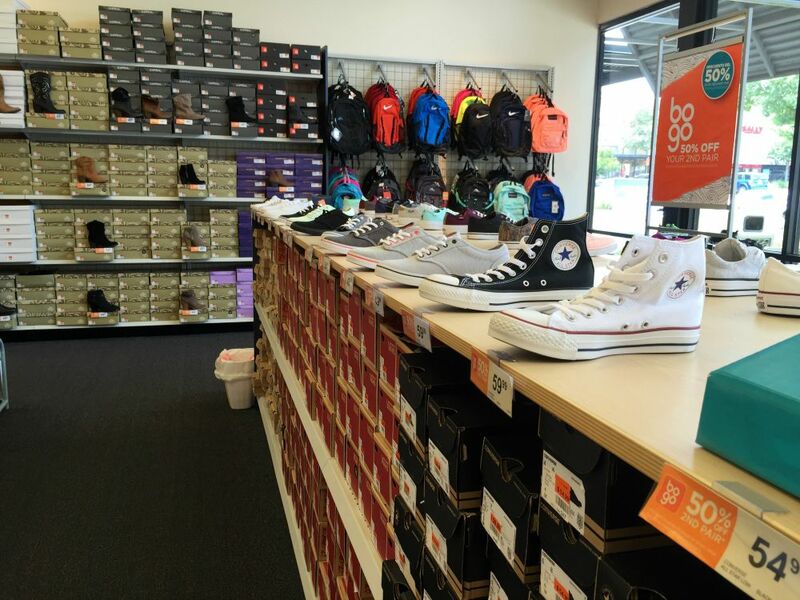 Here’s a peek in store at a few shoes they have to offer. 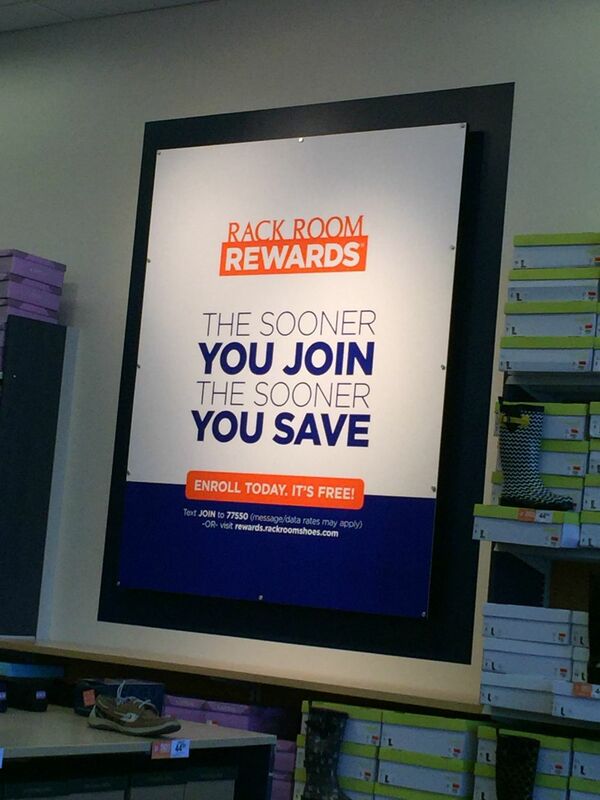 Another great way to save at Rack Room Shoes is through their rewards program. For every $200 you spend, you receive $15 in rewards. Members also receive other perks such as coupons and exclusive discounts. 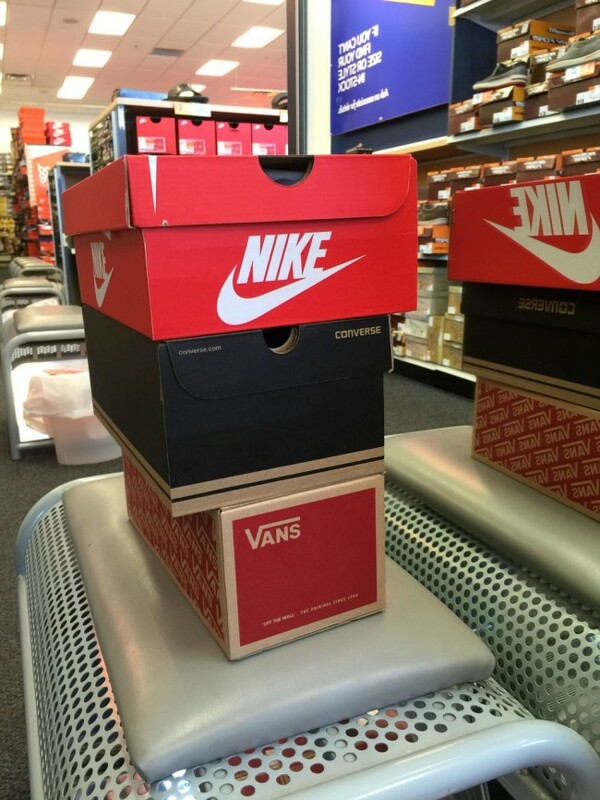 I have $30 waiting for me the next time someone needs a new pair of shoes. 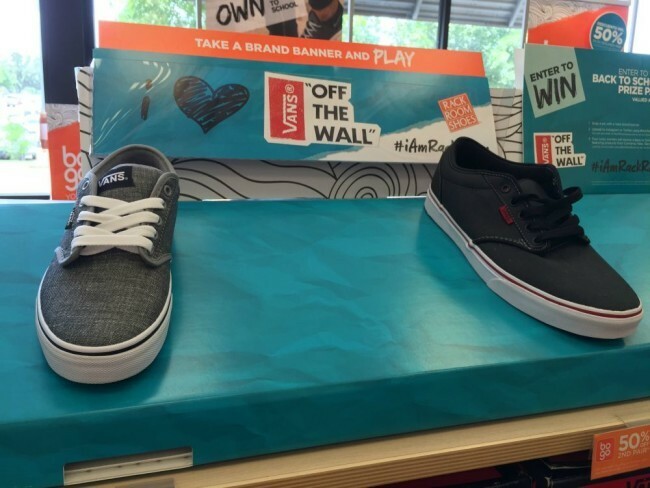 What kind of Back to School fashion trends are your kids sporting this year? Is there a particular type or brand of shoes they’re wanting? Head on in to your local Rack Room Shoes or check out their selection online. 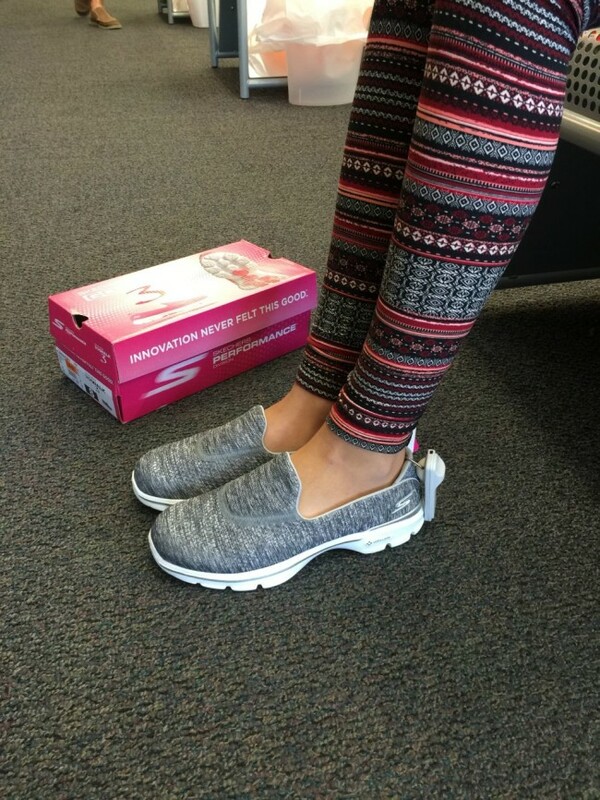 is your daughter finding those skechers comfy? 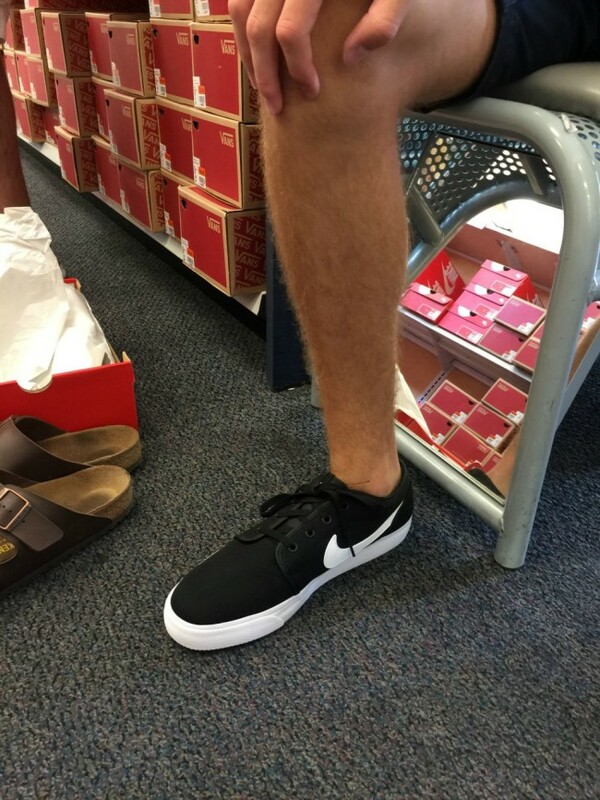 Hi Jem123 – She didn’t end up purchasing these, but tried them on and walked around the store. 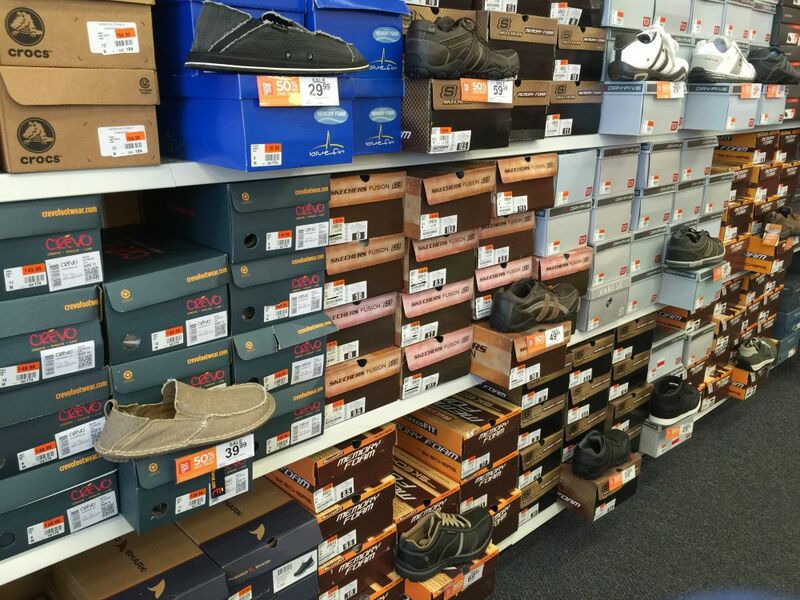 She said they were incredibly comfortable and had a lot of cushion and support.